I was diagnosed with Fibromyalgia in 1999, after many years of experiencing pain and fatigue following a car accident in 1991. I remember coming out of the doctor’s office and standing on the corner of the street, just crying my eyes out, not knowing then anything about the condition or even how to spell it. I was devastated. I didn’t know where to start to find out about this condition, at that time nobody I knew had even heard of it. I remember buying a book about Fibromyalgia that said that there was no cure and I had to learn to live with the symptoms. Great, I was only 33 years old, with two small children, I felt that life was so unfair. I had lost my dad when I was 18, my brother was diagnosed with renal cancer a few years before and my mum had just been told she had ovarian cancer, and now this. Having gone through the normal conventional treatments of graded exercise and Cognitive Behavioural Therapy (CBT), my symptoms were no better. I was also sensitive to all the pain medication and so embarked on my journey into complementary therapies. I spent thousands of pounds over the next couple of years trying many different therapies. Some helped more than others, I needed to have a deeper understanding so I started my training as a complementary therapist in 2003. I found that the following therapies that I had qualified in really help me such as Reflexology, Emotional Freedom Technique and The Balance Procedure. Although I was starting to feel better, I still had some relapses but didn’t understand why. 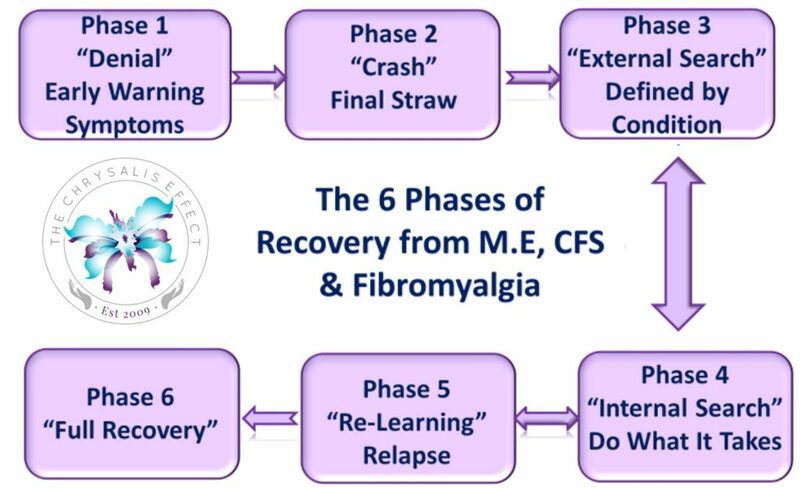 Then I found the Chrysalis Effect Recovery Programme with their 6 Phases of Recovery Map and proven protocols for each stage of recovery. I then understood what I needed to address for my underlying physical and emotional causes of pain and symptoms. 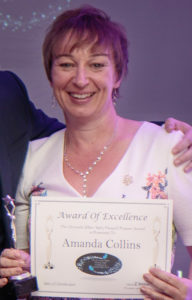 I was so impressed with the improvement in my own health that I trained as a Chrysalis Effect Specialist Practitioner. I was trying to do it on my own, which didn’t work. Although I was very knowledgeable in holistic therapies, I needed the Chrysalis Effect proven recovery protocols, the support of others and the accountability of working with a Wellbeing Coach. There was a lot of unresolved trauma and grief in my life that I needed to address and when you are working by yourself there is always a good reason why you shouldn’t start today. What have you got to lose, sign up to the 30 day free trial of the Online Recovery Programme and book yourself a free Discovery Call with me today to find out more about how the Chrysalis Effect Recovery Programme can help you too.